Years (and I mean YEARS) ago, I was a college student in Gainesville working a part-time job along with two internships. Money was scarce – but Bento made it onto my (short) list of budget friendly dining spots. 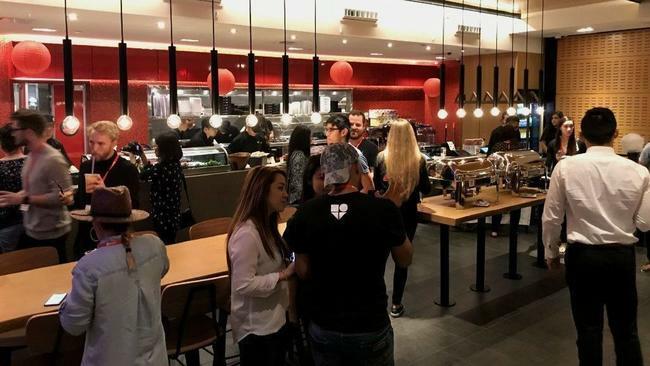 Full circle time: I recently attended the media preview for Bento’s new spot in Winter Park, which will soft open on Nov. 14 (so expect limited hours for lunch and dinner). This Florida-based chain has grown and opened more than 9 spots since its start in 2002. The menu has expanded since my college days to include dishes that span a range of Asian cultures. Diners can opt for one of three bases — a rice bowl, noodle bowl or bento box — and include a variety of entrees. Think bulgogi (marinated sliced beef), orange chicken, pork katsu. A build-your-own poke option is available, along with boba teas to wash it all down. As the name suggests, Bento’s sushi is another mainstay on the menu, with more than 20 options (including a few for vegetarians). Expect more Bento locations in the near future at spots such as the soon-to-open Sunset Walk at Margaritaville Resort Orlando; Lake Nona; and a headquarters in Orlando’s Mills 50 neighborhood. Want to learn more? Visit EatAtBento.com or visit the new locaiton at the corner of Lee Road and north Orlando Avenue/17-92.